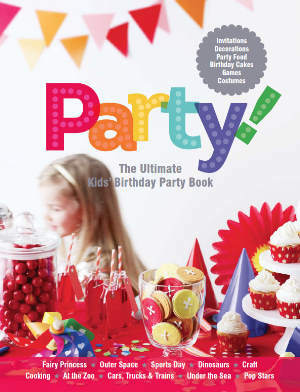 I have always loved cake books and party books. Since the I-must-make-my-kid-an-awesome-birthday-cake gene switched on (not to mention the I-must-make-naughty-cakes gene) I've been devouring them. Under the whole you break it, you bought it rule, I own quite a few. It's something to do with the fact that when I pick them up in the shop, I just start drooling all over them. I was sent a copy of Party! The Ultimate Kids' Birthday Party Book from Pan MacMillan and it's now ruined. Too much drool. Ahhh bugger. Perhaps I should wear a bib from now on? Or cover them all with contact before hand? It is impossible to look at this book and not feel inspired. Ten awesome themes for all ages translates to pages upon pages of awesome party themes - not just cakes! 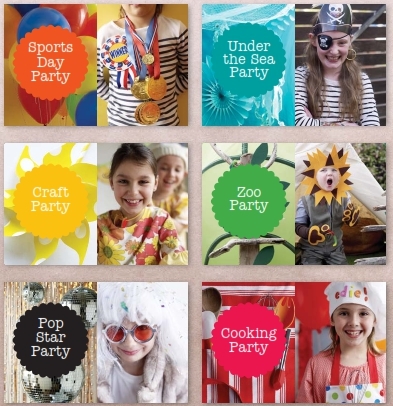 It includes everything from the games to play, the decorations, the invites and the party food too. My favourite part though, without doubt, is that it's all really hands on, do-it-yourself and budget friendly. There's no buy seventeen metres of bunting, hire a clown and a petting zoo crap. 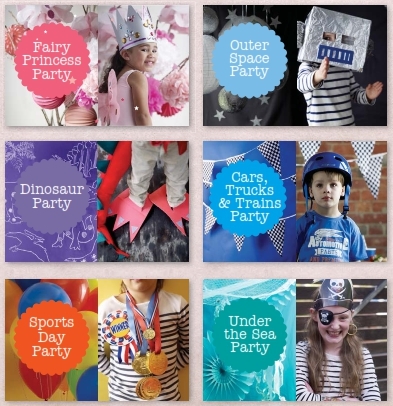 It's cardboard boxes, scrap material and a trip to the $2 shop combined to make a memorable party. Whether you want your kid to have an amazing theme party because they'll love it, or because you want the other mums to be a bit jealous (oh COME ON, you know that's part of it), and don't want to spend a fortune, then this is the book for you. I have four drool-free copies to give away, hooray! To enter, be a follower of Where's My Glow and fill out the entry form below. For more chances to win, enter through the Facebook app too - you'll get bonus entries for sharing the love! This is not a sponsored post, but I did receive a complimentary copy of the book from Pan Macmillan- I wonder if they'll send me another one that isn't covered in drool? Full Ts and Cs here.